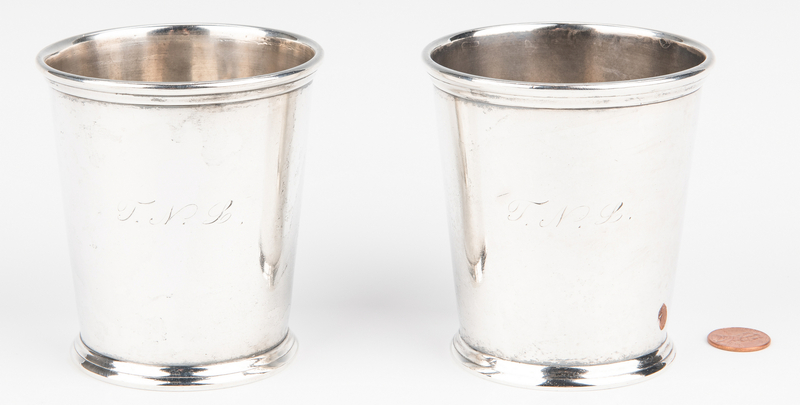 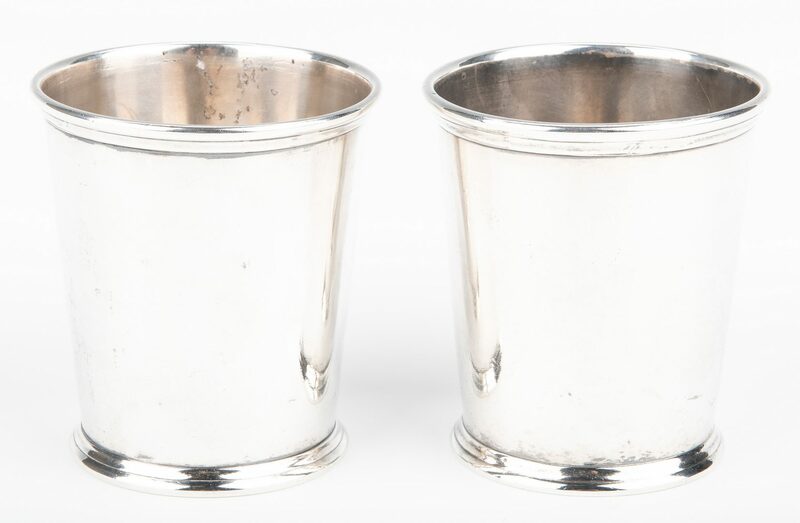 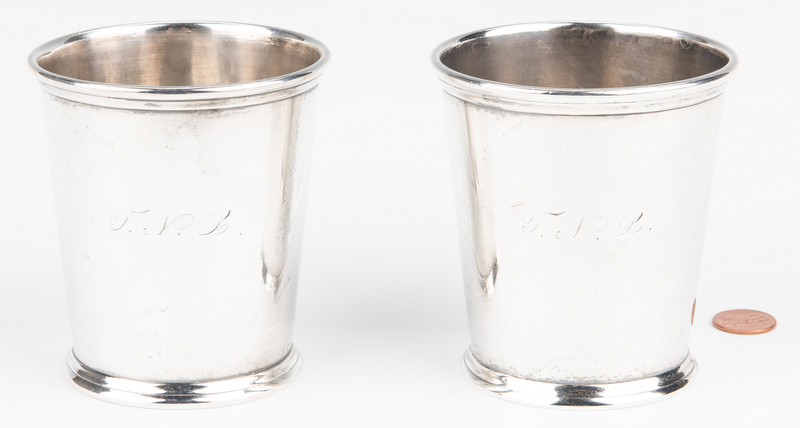 2 Coin silver mint julep cups or tumblers, round tapered form with molded lip and foot, incuse mark on base STANDARD P.L.K. / JOHN B. AKIN DANVILLE KY (Maker Peter L. Krider, working Philadelphia, 1850-1903; Retailer John B. Akin, working Danville, Kentucky circa 1855-1860). 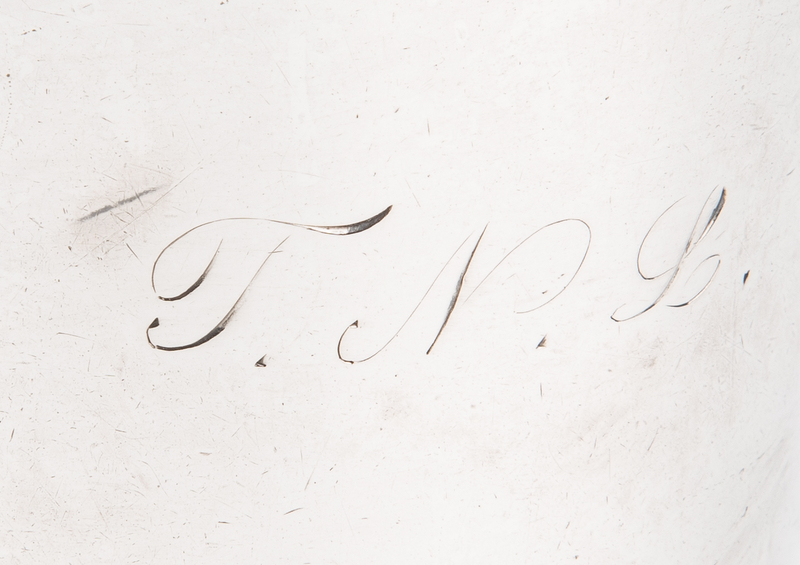 Engraved script monogram TNL. 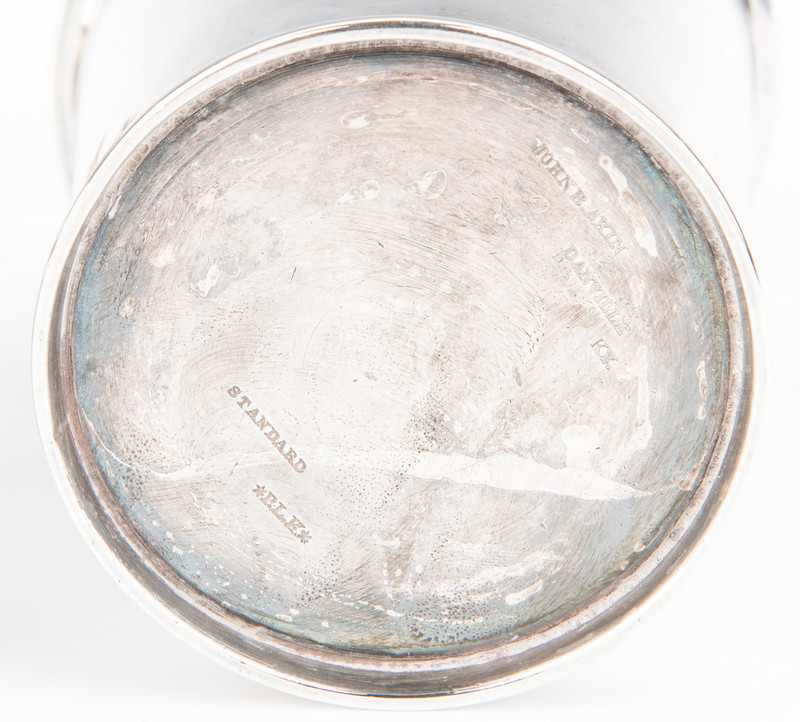 3 1/2"H, 10.02 oz troy. 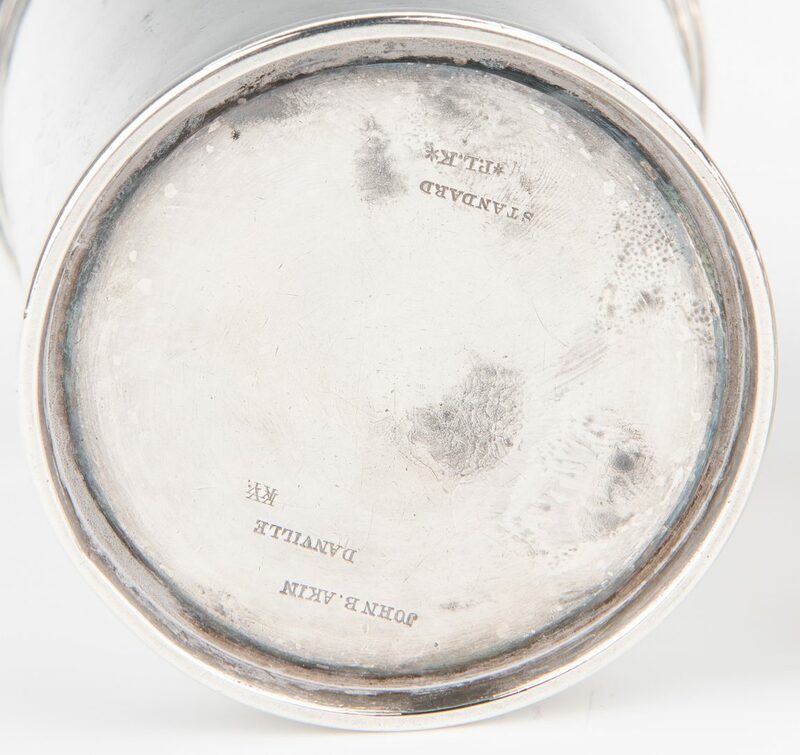 Provenance: Descended in the Talbot-Lindsey family of Frankfort, Ky. Helen Talbot, the granddaughter of second Kentucky governor James Garrard, was born in Bourbon Co. in 1841; she married John B. Lindsey in 1860 and they lived in Frankfort, KY. 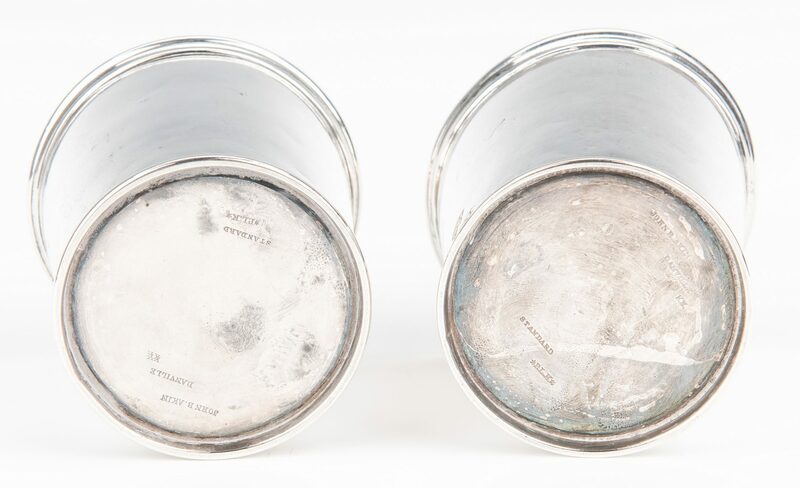 CONDITION: Several small dents, up to 3/8", and scratches.